SMUDE is ISO 9001: 2008 certified trusted by over 4 lac students who have been enrolled and placed worldwide in private as well as corporate sectors. SMUDE Distance Education offers a unique next-generation online study system feature named 'THE EDUNXT EDGE’. Thus giving students online access to more than 1 Million books and 24/7 support. SMUDE is one of the well-known university for MBA distance education in India. Educational Qualification: Applicant is required to have a 3+ Years graduation in any discipline from a recognised University. Entrance Test: Applicant must score more than the qualifying percentile in the entrance exam conducted by the University for the Admissions. Exemption for Entrance test to MBA Program conducted by the University: Those candidates are exempted from the entrance test that is being conducted by the university who have a valid score card of National / International MBA Entrance Test with minimum 45 percentile or above. National/International Entrance Tests: Scorecard of the National/International tests of the given below exams are accepted, Scores of the entrance test must not be older than 1 year at the SMUDE MBA admission time. Applicants applying for distance MBA from SMUDE can check here for the details of the application process. Follow the link given below for SMUDE registration. STEP 1: The candidates have to fill the details for the registration by following the link given above. STEP 2: Candidates will receive a phone call on their registered number and a link to the fill the application form via email. STEP 3: After this, the candidate will have to fill up the application form with their required details and upload the required documents. STEP 4: After successfully filling up of the application form applicants have to pay the application fees online. Demand draft: The students can make one single demand draft covering all the fee heads (Semester fee, Certificate fee, Late Fee, wherever applicable). The Demand Draft should be drawn in the name of SIKKIM MANIPAL UNIVERSITY DE payable “Locally”. Online payment: Payment can also be made through Payment Gateway using the debit card and credit card online. Net banking: Account holders of the below-mentioned Banks only can use this facility in order to make the Fee payment. Candidates have to pay the SMUDE Late Application Fee: Rs 700 (After the last date to apply). The Application process of 2018 programme is not yet started, The detailed fee structure will be updated here as soon as it is available. 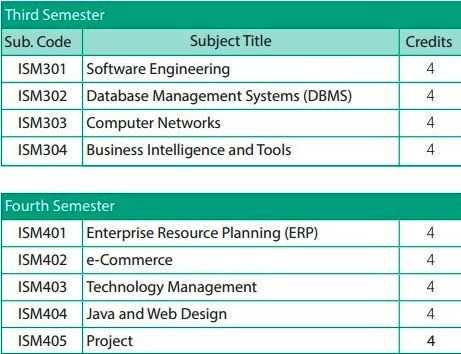 SMUDE Result of each semester will be declared within the 8 weeks from the last date of the examination. The results will be published on the website www.smude.edu.in. As per the notification of the Government of India and Ministry of Human Resource and Development, all the degrees /diploma/ certificates including technical education degrees diploma awarded through the Open and Distance Learning mode by the UGC recognised universities/Colleges will be considered eligible for the Central government posts and services on an employment basis. Self Learning Material (SLM) is provided by SMU. The Directorate has developed its own SLM which helps students to learn content in a phased manner with clearly stated objectives and learning outcomes. The study Material serves as the main source of learning for MBA programs of the Sikkim Manipal Distance Education of the University. When the admission of the candidate is approved by the university and candidates has paid the required admission fees, he/she will receive the study material of the courseware on the registered address within the 15 days. Students have to reappear in the exam if he/she fails to score minimum 35% marks in Internal Assessments and Term End Examination with 40% in aggregate in that particular paper. Students failing in any of the subject or paper has to apply for reappearing to the university by submitting a re-sitting application along with the relevant re-sitting fees on their Students My zone portal https://myzone.smude.edu.in/irj/portal. 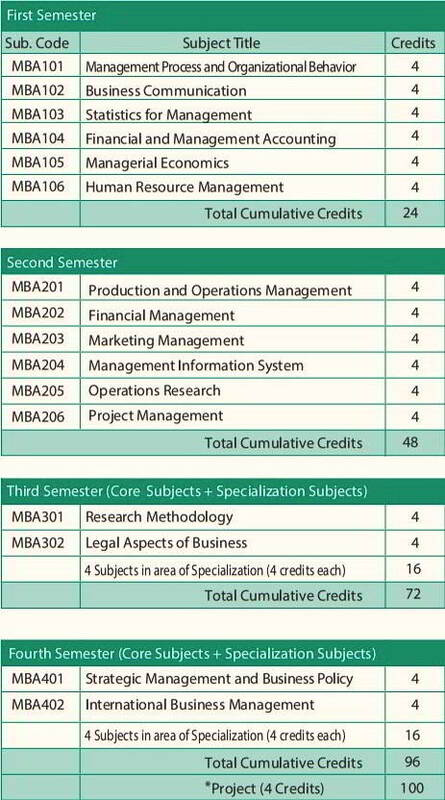 MBA Course structure of SMUDE is explained in the image given below. 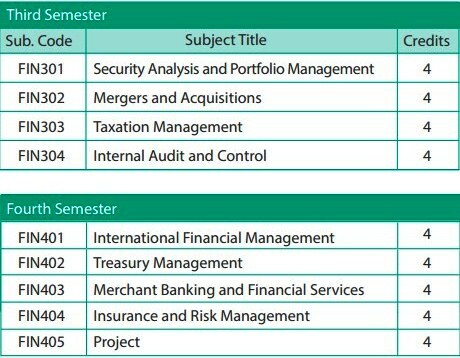 Candidates will be given 4 credits for each subject and at the end of the course, and each course carries equivalence of 100 Credits. Note: Every student has to undertake a Project work, preferably a live one, which must be of at least six months duration either at the place of work or other, which must be related to their area of specialisation to complete the program. 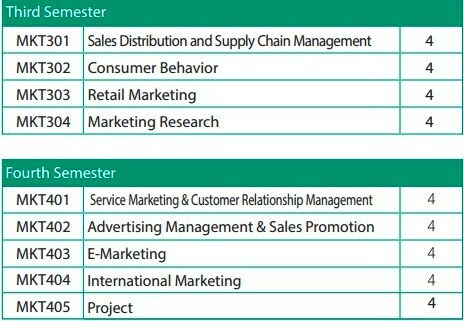 The project work will be equivalent to 4 credits. Special Scholarships for students of Sikkim and North East. SMUDE provides access to teachers and online classes. The candidates have the facility to ask questions during a class and in case the candidates miss any class they can access the recorded session whenever they are free. It is not compulsory to attend Distance Learning classes but it is beneficial to attend in case a candidate has a question on any topic or need any further explanation. 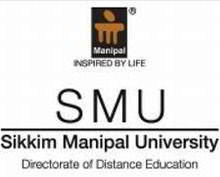 The candidate has to appear in the exam in the test centres of Sikkim Manipal University. The address of the test centre would be shared with the candidate well before the date of the exam. The candidate has the option to book the online exam centre and course for which they want to appear in the exam. 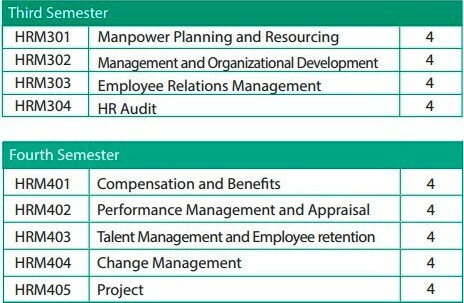 MBA is a two years course and the candidate can complete the MBA course under distance learning maximum in 4 years time.